New Job Offer but Low Salary? NEGOTIATE! We all get excited at the prospect of a new career and the benefits that come with it. So, you go through the interview stages and finally they say they like you and want to make an offer. However, when you hear the offer your heart sinks as is not per your expectations. We negotiate on a daily basis whether we realize it or not and so you do not have to be a Master Negotiator to get the salary you desire or benefits package you hoped for. It is commonly agreed that you would rather get a good package at the beginning than try to negotiate for a change half way. 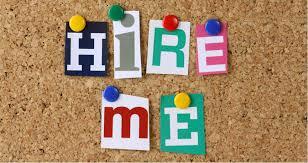 At the onset of making a hire, the Employer wants you on board and hence they are more flexible to your demands. Most companies offer yearly salary increment based on performance and if you are to negotiate a better salary at the beginning of your employment, it would lead to increased earnings as you progress with your career and continue being a performer. This is very crucial when it comes to jumping ship. Do not be too fixated on the base salary that you forget to put into consideration all other benefits such as medical cover, insurance for self and family, pension, allowances, bonuses etc. There are also other nonfinancial aspects to think of when negotiating such as the work culture, flexi-working hours, the career growth prospects, training and development and company values in general. You want to work in a company where you are excited to be in everyday being that we spend more of our time at the work place. Put your imagination to use. What will you gain having that company in your CV in let’s say 2-3 years time? Does the opportunity provide a spring board to propel you further in your career? Are there new skills that you will acquire in the new job? What type of problems are you going to solve and how will this impact your career? These are questions to generally ask when changing career so as not to make a plateaued kind of move where you find yourself stagnated, just a different location. In essence, if the career benefits are overwhelming, and you accept the Job Offer, you will have positioned yourself at a place that future employers fight for your kind of skill-set. Avoid giving the Employer ultimatums and also watch out when such is given. Don’t be rushed into accepting a job offer because they said for example, “the offer expires in 1 day”. Ask for more time. And if they are not willing to give more time, then, in my opinion, they perhaps don’t deserve you? The negotiation period should be a time where both parties are exploring best possible compromises and as much as time is of the essence, it shouldn’t be a ridiculous ultimatum. As much as changing jobs is an individual decision, sometimes it does help talk to those who have gone before you. If possible, a mentor or a peer or a close friend who actually knows you well especially when it comes to your career. You could use platforms like glassdoor and pay scale to gather intel but these alone can be misleading as could be an aggrieved employee writing negative material. Different companies have different pay scales and this is determined by several factors. Some could be at the start up phase, some are medium sized, others are restructuring etc. Hence is important to do your research to know the Employer’s current position when it comes to salaries and compensation and how that compares to their industry. This means then that you have to know the Employers needs and their priorities and if their priorities do fit with yours. To note, a company can pay high salaries but their employees operate in a high pressured environment, or a company pays relatively average salaries but with a relaxed work environment. I usually tell candidates that I work with that choosing an Employer is the kind of relationship that you want to be of value beyond monetary gains. In conclusion, therefore, when evaluating what you are offered, visa-a-vi your current job, compare them from all possible angles before saying a quick Yes, or a regrettable No. NB// We at Crystal Recruit work with candidates by connecting them to great career opportunities with Potential Employers. Reach out to us via Email and let us talk about your next career move. Previous PostFear not, Resign Already!! !Next PostThe Salary Question – Important yet Tricky!